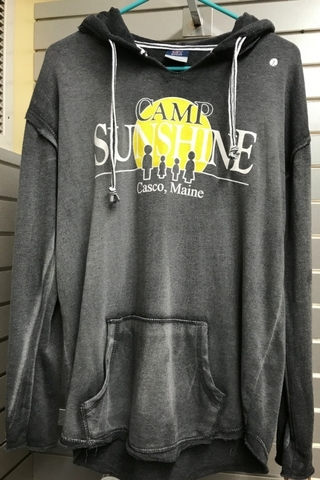 These grey lightweight hoodies are perfect for the warm weather. 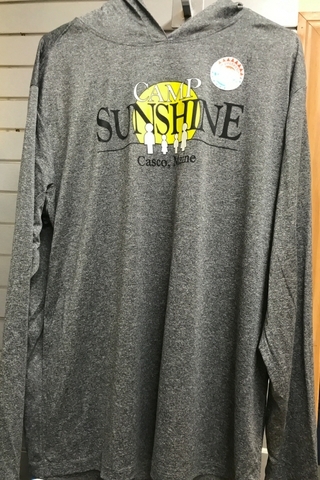 They have UPF 30+ sun protection and moisture-wicking fabric. 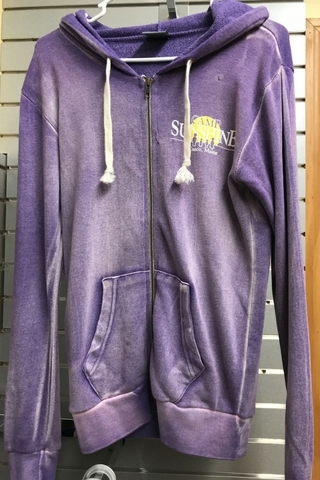 These blue lightweight hoodies are perfect for the warm weather. 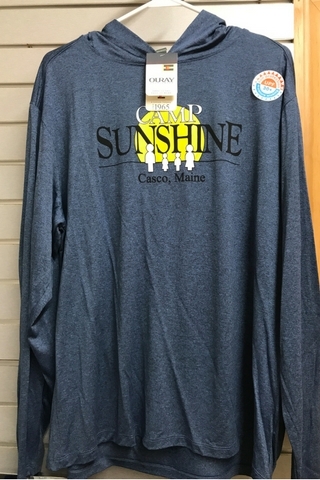 They have UPF 30+ sun protection and moisture-wicking fabric. These warm hats will bring a little Sunshine to your winter days. They have a pompom and are 100% Acrylic. They come in black, red, and grey. One size fits most. 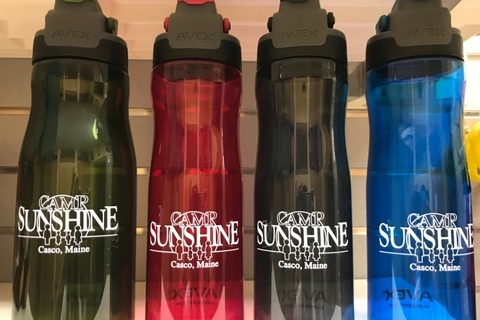 These Avex travel mugs hold 16 oz. and have an autoseal to prevent spilling. One color available: olive green. These sports water bottles are transparent and have a “press here to drink” button and a cover to prevent spills. The 25 oz. 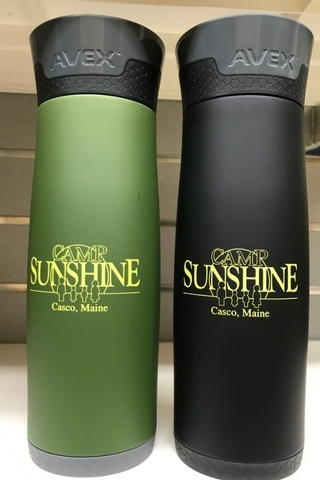 bottles come in in charcoal, ocean blue, and berry pink. The 32 oz. bottles are only olive green. 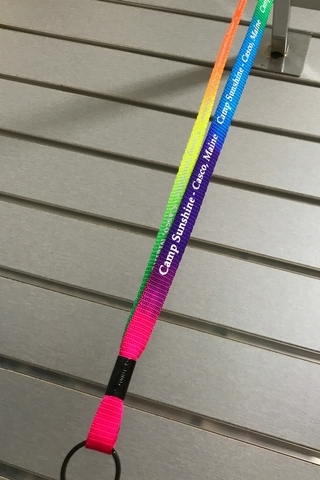 This Camp Sunshine lanyard is super bright and has a key ring. 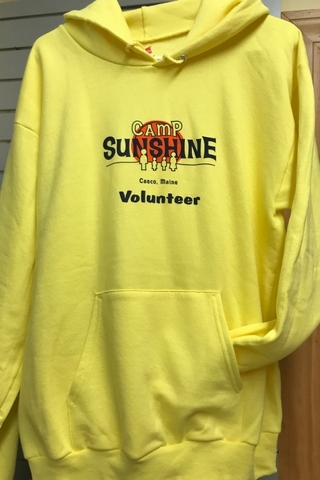 This coin commemorates the No Man Left Behind Challenge at Camp Sunshine in 2016.